Michael completed the Path. What he found at the end turned everything he'd ever known about his life completely upside down. He thought he'd been helping VirtNet Security to track down the cyber-terrorist Kaine. He thought the VirtNet would be safe for gamers once more. But the truth is more terrifying than he could ever have imagined. Kaine is in fact a Tangent, a computer program that has come alive. And Kaine's master plan is to populate the earth entirely with human bodies harbouring Tangent minds. Unless Michael can stop him. 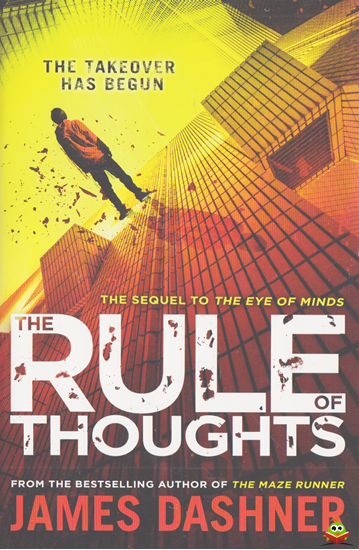 . . From the New York Times bestselling author of the Maze Runner series comes The Rule of Thoughts, the exciting sequel to The Eye of Minds. Fans of the Divergent series by Veronica Roth and The Hunger Games will love the new Mortality Doctrine series.